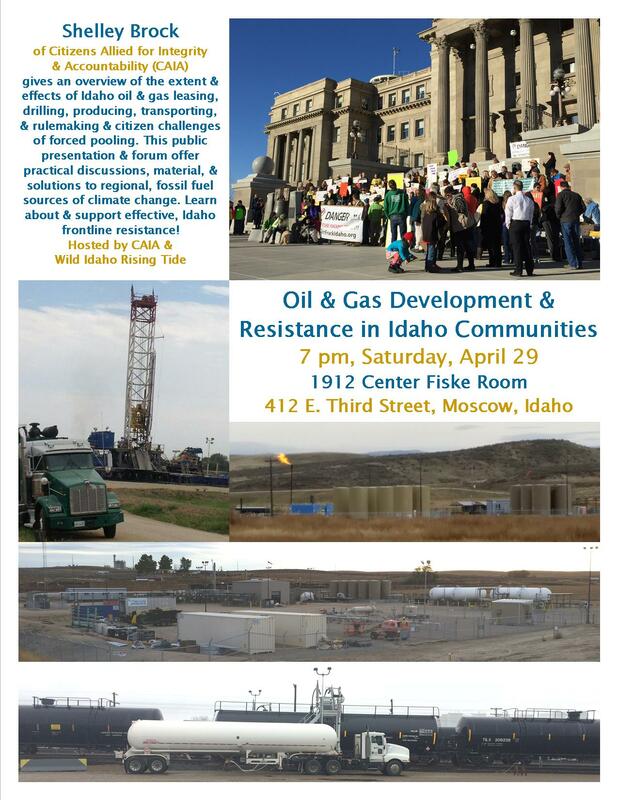 Wild Idaho Rising Tide (WIRT), Citizens Allied for Integrity and Accountability (CAIA), and allied activists earnestly invite you to participate in a presentation and forum on fossil fuel extraction in Idaho, held at 7 pm on Saturday, April 29, in the 1912 Center Fiske Room, 412 East Third Street in Moscow, Idaho. In the wake of the Lori Batina Memorial Climate March and the People’s Climate March in Sandpoint, we are grateful and honored to welcome Shelley Brock of CAIA in Eagle, Idaho, sharing with the Moscow-Pullman-Palouse community an evening talk about oil and gas development and resistance in Idaho communities and associated, practical solutions to the regional causes of the global climate crisis [1-3]. Through a brief presentation with photos, giving a descriptive overview of the current, Treasure Valley, oil and gas situation and offering a question-and-answer session and open forum afterward, Shelley will inform and show audience members the extent of Idaho oil and gas leasing, the effects of fossil fuels drilling and producing, and the efforts of citizen, legal challenges of integration (forced pooling) applications. She will also bring and display a dozen posters and distribute printed material about these oil and gas industry invasions impacting landowners and taxpayers throughout the state. During Earth Week outreach events at the University of Idaho and Washington State University, students expressed great interest in this talk. 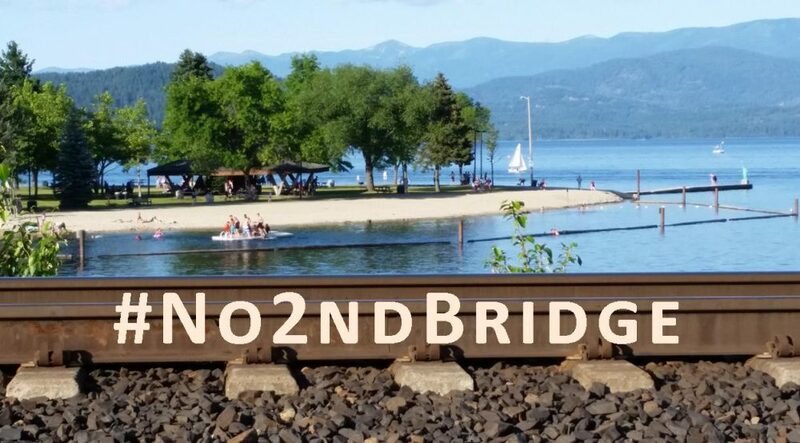 With your friends and families, please attend this well researched, highly recommended presentation, to learn about new and expanding fossil fuel infrastructure, operations, rules and legislation, and organized opposition in Idaho and across the Northwest. CAIA and WIRT appreciate your work on climate and fossil fuels issues and your potential participation in this forum with free admission and requested contributions toward discussions and event costs. This entry was posted in Events, Idaho Fracking by WIRT. Bookmark the permalink.